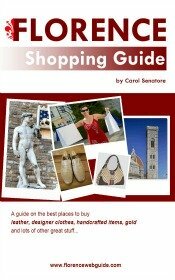 Looking for things to do in Florence in March 2018? FWG is here to tell you what's on and what the best things on the calendar are this year. There are THREE very special dates this month, the 6th, the 25th and the 27th. The first is Michelangelo's birthday, the second is the Florentine New Year, and the third is Easter Sunday (which is actually on April 1st, but that's close enough to include on our March page, isn't it?) with the historic Scoppio del Carro celebration (read more below). 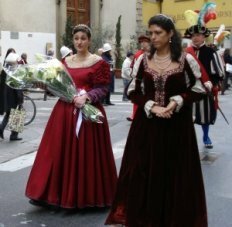 The Florentine Republic comes out dressed to the hilt in period costumes to pay homage to these three important festivities. 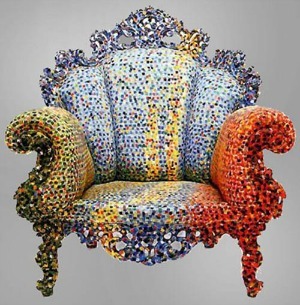 There's also a food fair for gourmet aficionados, a bike festival, live music and opera, soccer, a celebration for Saint Patrick's, and a super glamorous furnishings design show - with lots going on for free! 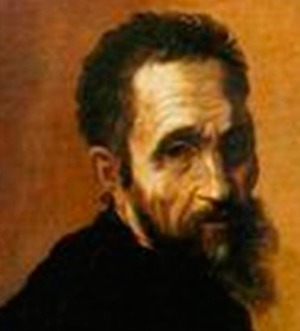 The birthday of Michelangelo, March 6! A procession starts out in piazza Signoria at 10:30 heading towards piazza Santa Croce where the great artist is buried in the cathedral. After leaving flowers at his tomb, the procession carries on to the home where the renaissance artist lived in Florence, in via Ghibellina no. 70. This is one of the traditional things to do in Florence in March, just Join in with the marchers and enjoy a free local event! 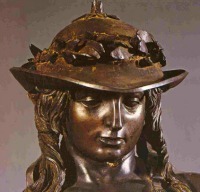 March 25 is the Florentine New Year, the Festa dell'Annunciazione. Up until the year of 1750, this day was the start of the calendar year. Today, traditional festivities commemorate this holy day. The annunciation is when Mary was told by an angel that she would become the mother of christ (see Leonardo's famous painting depicting this moment at the Uffizi Gallery). 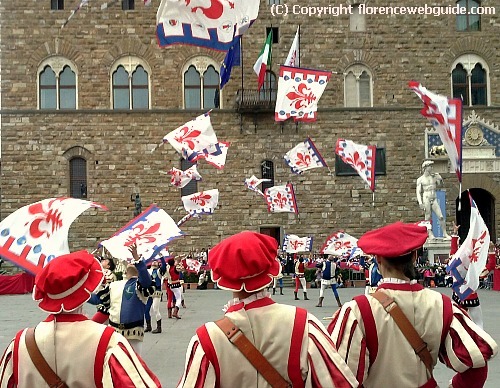 A parade starts out from Piazza della Signoria at 10:15 with processioners dressed in medieval garb. At 11 the procession arrives in Piazza SS Annunziata where the celebrations go on all day with open air markets, special dishes and music. 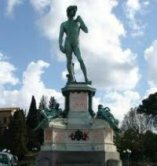 A wonderful free local festivity on the Florence events calendar March 2018! A food lovers paradise, one of the really special things to do in Florence in March is 'Taste' - a food festival that celebrates gastronomy from all over the world. Try dishes and desserts which have won awards, with haute-cuisine coming from far and wide or delectable Italian cakes made by our local pastry chefs. Taste is home to hundreds of delicacies that will make your mouth water! Monday: from 9.30 am to 4.30 pm professionals and also open to the general public. If you like (or love!) opera, or you're not really sure and are interested in finding out if Italian opera is for you, then Florence is the best place to be. For those who would like a 'lighter' operatic experience there are several venues where you can see shorter versions of very popular operas performed. These performances might be a collection of arias, or a pared-down version of a full opera with a narrator who fills you in as you go along - this is one of the most fun things to do in Florence in March for culture lovers! Singing is live of course with musical accompaniment, although not a full orchestra as the venues are one the small side (great for close-up views of all the action!). This month they'll be singing arias from la Traviata, La Boheme, Madama Butterfly, Carmen, Tosca and other greats. Explosion of the Cart - 'Scoppio del Carro'! 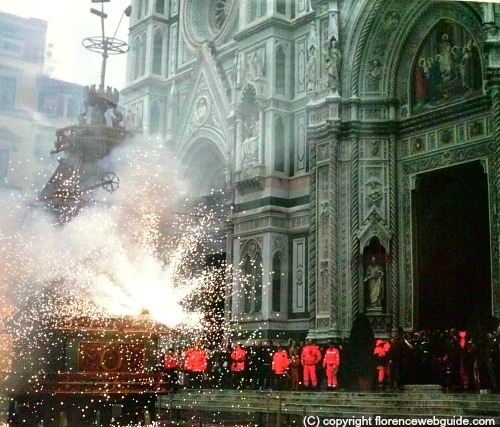 One of the absolute MUST things to do in Florence in March is to witness the Scoppio del Carro (Explosion of the Cart) in Cathedral square. An Easter day tradition, see the majestic white oxen lead the wooden antique cart through downtown to reach the Duomo. Accompanied by a marching band and the Florentine Republic paraders dressed in period garb, this special celebration is one of the city's most loved and anticipated! At 11 am the dove takes off from the church altar and ignites the fireworks...let the pyrotechnic display begin! A not-to-be-missed annual appointment, this singular event is also completely free! 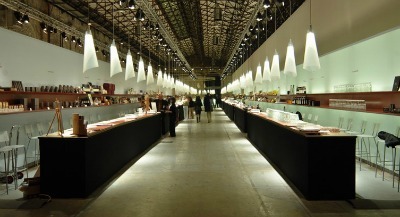 The Salone del Mobile is a yearly exhibit focusing on the latest furniture designs and interior decorating. Not just furnishings though, the fair offers live music and aperitif buffets every day! Italians love their homes and Florentines are no different, they must be beautiful. An annual appointment that is a must for anyone passionate about chic modern furniture designs and voluptuous accessories. This is one of the top things to do in Florence in March with the kids! The Chocolate Fair is an open air celebration of one of life's greatest pleasures, the joy of eating chocolate. Year 2018 welcomes the 14th edition in Firenze of this scrumptious event! You'll find thick luscious hot chocolates, layer cakes, mixed varieties of chocolate ice cream, and countless types of bon bons, all up for the eating. Stands are held by artisan chocolate masters - see them live at work as they create their mouth-watering delicacies! 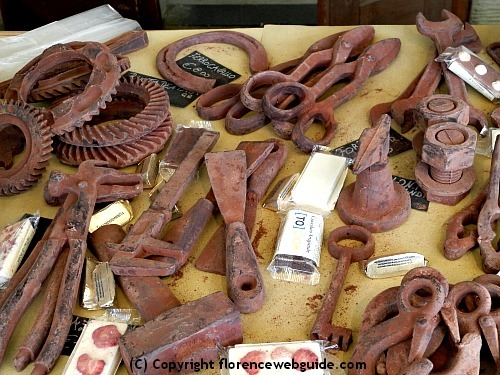 link to official site for the Florence chocolate fair! St. Patrick's Day is celebrated at the auditorium FLOG, with this 3 day Irish festival on the Florence events calendar March 2018. FLOG is a bit of an indie venue that is definitely off the beaten path, so going there will be a truly authentic Florentine experience! Do I need to tell you that there'll be plenty of your favorite Irish beers, pub fare, and lots and lots of live Irish music?! 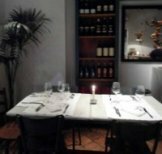 Looking for things to do in Florence in March that are off-the-beaten path and also free of charge? 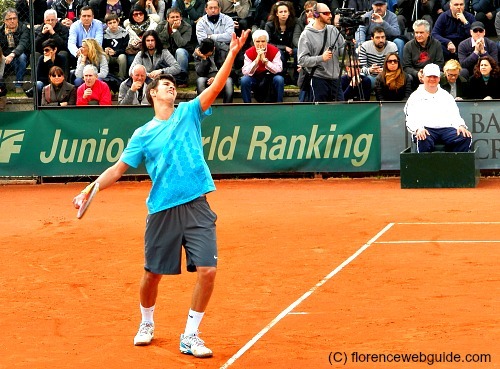 Spend some time in the open air and surrounded by locals at the Easter tennis tournament for under-18 players, 'Torneo Città di Firenze'. Held each year during Easter week, this tournament has seen the likes of some of tennis' biggest names: Roger Federer, Kim Clijsters, Martina HIngis, Jennifer Capriati, Amelie Mauresmo, and Dinara Safina just to name a few, have all won here! Men's & women's matches are on all day in the lovely setting of the lush Cascine gardens and woods, a real break from the city crowds and a terrific local event for sports lovers too! Entry is open to all and free of charge, just come and go as you please. Semi-finals are on Easter day and finals are played on Easter Monday. 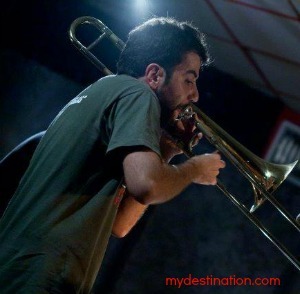 Excellent jazz gigs in small characteristic venue - a real local cult following! get there: bus 23A from station 'valfonda' stop (across street from Burger King), get off at Gavinana stop. A great insider tip for things to do in Florence in March 2015 for music lovers! Free Classical Music Concerts on Sunday Morning! Classical music lovers here's a special insider tip for your Florence events calendar March 2016! 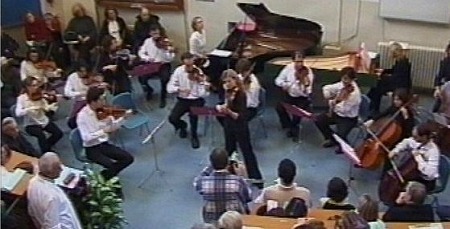 The 'Careggi In Musica' group (A.Gi.Mus. Firenze association) have been cheering up the Careggi hospital for over 15 years with their free Sunday morning concerts open to all, first come first seated! get there: from SMN station, go to bus stop 'Largo Alinari' (go out pharmacy side of station, cross wide avenue, bus stop is in front of Fabiani jewelers). Give yourself extra time to get there early and find the auditorium, print out these details and take with you in case you need to ask around! 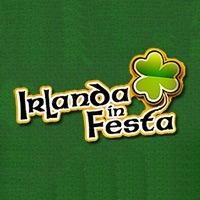 A fantastic occasion for fun things to do in Florence in March for free! Soccer in Florence - support the local team! There is no more authentic Florentine experience that rooting for the local soccer team, A.C. Fiorentina! This is a fantastic thing to do with the kids! The thrill of attending a live match, supporting the players, and - this is the best part - seeing the frenzy, passion and total dedication of the Fiorentina fans is undoubtedly one of the best things to do in Florence in March 2015! This month there is 1Italian league match being played at the Florence stadium: Fiorentina vs. Verona on Sunday March 13 at 3 pm.